Community sourced, locally driven, and determined to bring every customer a positive dining experience. Located on 3rd street, Southside 313 is redefining what it means to be in the heart of the steel city. Southside 313 had its grand opening in August of 2015, and while still fairly new it has already been welcomed into the area by all as a positive addition to both the local eateries and the nightlife. Bill and Sue Dech strive to bring their customers the best experience possible through fresh ingredients prepared every morning by a cooking staff that has been hand picked from around the area by Bill. Bill Dech comes from managing several corporate restaurants in the area and has brought everything he learned in a corporate environment to now bring the people of Bethlehem I more intimate and genuine dining experience. Serving only fresh produce (some of which he has even grown himself, such is the case with the Garden Tomato Soup) and even going as far to bring customers 100% locally sourced angus beef from our burgers to even our hot dogs. 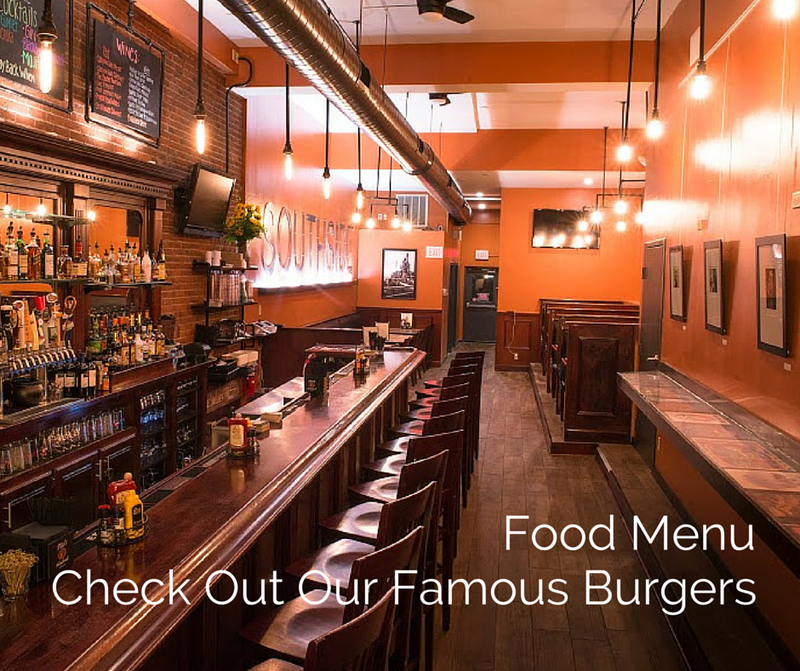 Everything about us is redefining what it means to be a comfortable local joint. Southside 313 is inspired locally in more ways than one, with our interior taking heavily from the themes of the town. A rustic industrial look and piping are a subtle homage to the rich history of Bethlehem, and our modern spin on that theme is what ties the Southside 313 in with many of the other attractions of Bethlehem. The reworking of older urban environments to create something new and comfortable, with a unique menu.